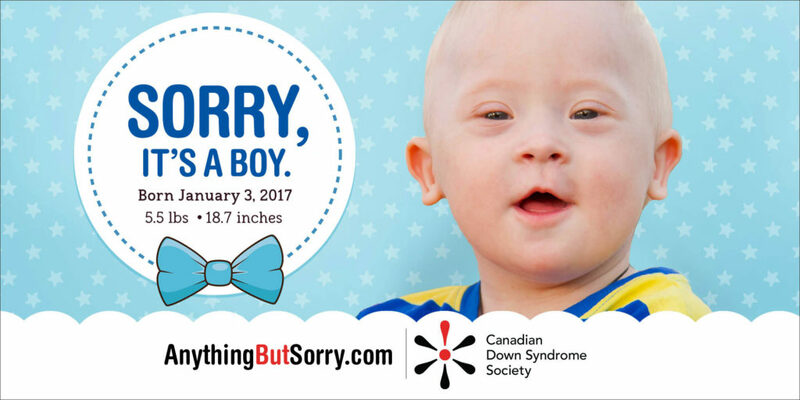 The Canadian Down Syndrome Society’s annual billboard is unveiled to celebrate National Down Syndrome Awareness Week. These billboards feature CDSS members. Learn more about them here! With a friendship that has lasted over 30 years, Canadians have looked to hockey icons Wayne Gretzky and Joey Moss as inspirations of inclusion and respect. This year, the Canadian Down Syndrome Society (CDSS) is celebrating Joey and Wayne’s great friendship in the 2016-2017 ‘See the Ability’ campaign. Wayne’s natural instinct for inclusion and Joey’s upbeat nature has helped this decades-spanning friendship last. Wayne first recognized Joey’s potential in 1985, when he got Joey his job as Dressing Room Attendant with the Edmonton Oilers. Today, Joey works for the Oilers and Edmonton Eskimos, is a recipient of a Queen Elizabeth II Diamond Jubilee Medal and an inductee of the Alberta Sports Hall of Fame. CDSS wants to provide a platform for self-advocates like Joey to share their stories with Canadians. Visit the new CDSS website at CDSS.ca for profiles and blogs by people with Down syndrome, along with the debut of the short PSA series ‘Second Opinion’ to debut during Canadian Down Syndrome Week (November 1 to 7). The Canadian Down Syndrome Society encourages Canadians to #SeeTheAbility, as Wayne did in Joey, and recognize and celebrate the great contributions that people like Joey Moss can make in their communities. Use the hashtag #WeSeeTheAbility to share your own stories of inclusion – we’ll share them with our members during the week. The “See The Ability” billboard will be across Canada starting October 11, 2016. “How do you #SeeTheAbility?” That’s what the Canadian Down Syndrome Society (CDSS) wants to know for the upcoming National Down Syndrome Awareness Week (NDSAW), November 1 to 7. 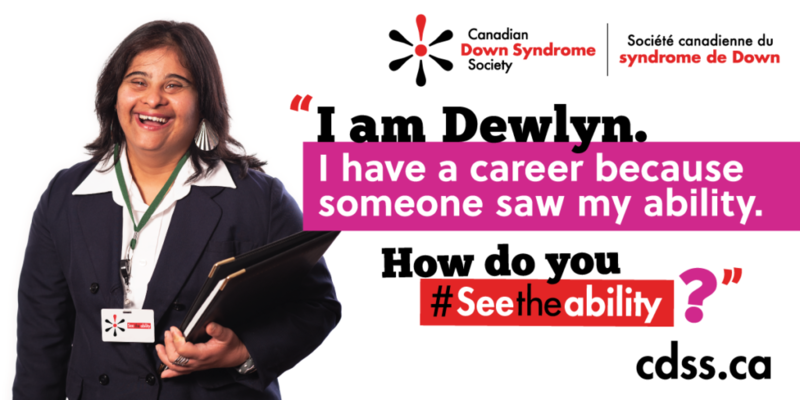 CDSS wants you to tweet, post, and share your stories of inclusion and employment using the hashtag #SeeTheAbility. We’ll share our best stories during National Down Syndrome Awareness Week on our website, www.cdss.ca/ndsaw. 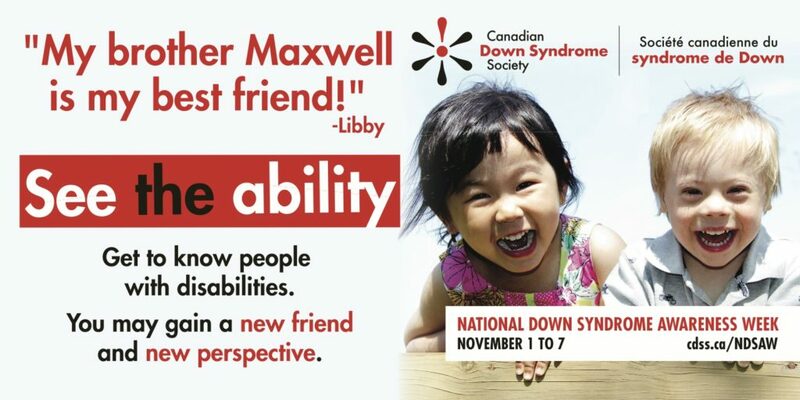 Starting October 12, CDSS’s new See the Ability billboard will begin to appear in communities across Canada. CDSS is using the campaign to highlight an emerging need for our community. People with Down syndrome are graduating from post-secondary school, ready to work and contribute to society. 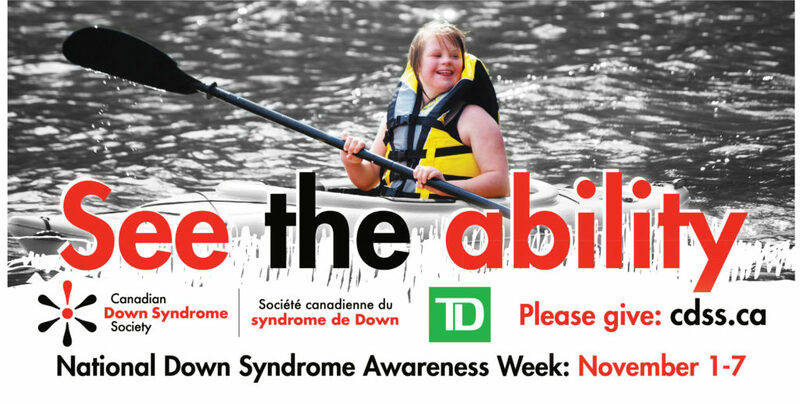 Dewlyn Lobo is the face of this year’s “See the Ability” billboard campaign with the Canadian Down Syndrome Society. A role model in her community, Dewlyn works in Ottawa in Human Resources and also sits on the Board of Directors for CDSS. 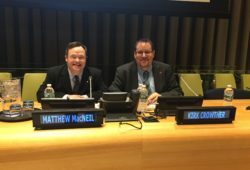 The Canadian Down Syndrome Society is currently working on an employment initiative with various businesses and supported employment leaders, which will provide the information and tools for businesses to hire people with disabilities. Representing the campaign this year is Pip McCallan from Kingston, Ontario. She will appear on the 2014-2015 CDSS billboard with her brother, Noal and her mother, Tara, the popular blogger behind Happy Soul Project. Pip was named a Canadian Down Syndrome Hero earlier this year. During National Down Syndrome Awareness Week, CDSS will share a new story each day featuring parents who truly “See the Ability” in their children with Down syndrome. Celebrations such as Go21: Walk for Down Syndrome Awareness and the Buddy Walk® are being held during the week in communities across Canada. National Down Syndrome Awareness Week is an opportunity for everyone to “See the Ability” in Canadians with Down syndrome. 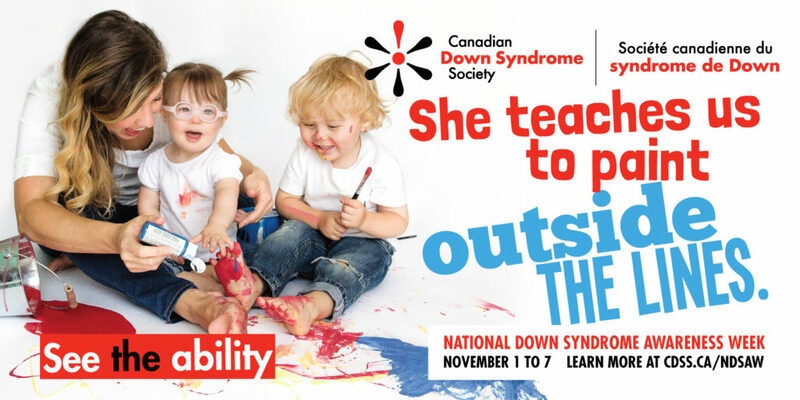 CDSS encourages Canadians to use this week to learn more about Down syndrome and help us advocate that all people are valued, fully participating citizens. Find more information about National Down Syndrome Awareness Week on our site or on the CDSS Facebook Page. We would like to thank Pattison Outdoor for their support and partnership, without which the billboard campaign is not possible. 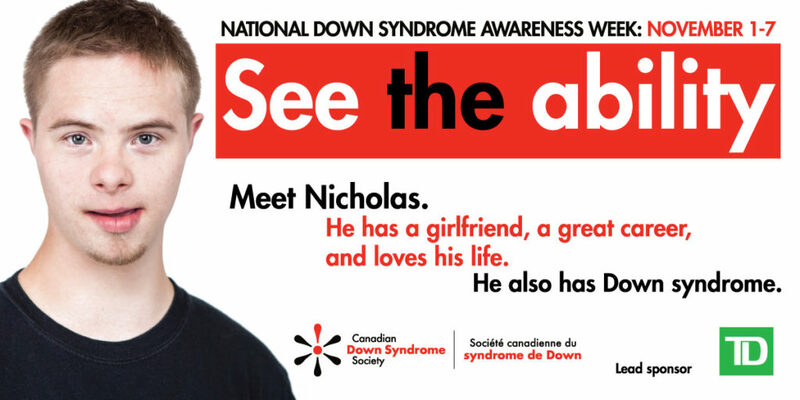 The Canadian Down Syndrome Society is proud to introduce Nicholas Popowich. He is from Regina, Saskatchewan. When he isn’t working full-time at SaskTel, he can be found spending time with his friends, girlfriend, and family. He is an active member of the Voices At The Table Advocacy (VATTA) Committee. The Voices at the Table Advocacy Committee (VATTA) is composed of a group of adults with Down syndrome who believe that through their diversity and advocacy efforts, equitable opportunities will be available for all Canadians. 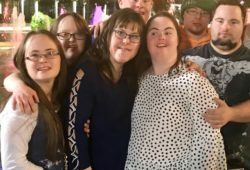 This exciting project has created a valuable Canadian resource that brings a unique personal perspective to guide the work of the Canadian Down Syndrome Society. Many thanks to TD, the lead sponsor of the ‘See the ability’ billboard campaign. Also thanks to James R Photo and Pattison.